Dental implants provide a robust and stable anchor for securing artificial teeth, bridges, and dentures. 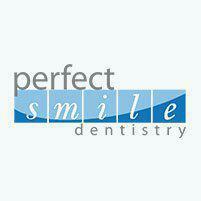 Dr. Rasmi Akel of Perfect Smile Dentistry has extensive experience placing implants that provide long-lasting support. Contact his offices in Wellington and Boynton Beach, Florida, or schedule an appointment online to learn about the benefits of using dental implants to replace missing teeth. When one or more teeth are missing, and you need to fill the space with artificial teeth, implants are an optimal solution. You can receive multiple implants — one for each artificial tooth — or they can be used to anchor a bridge or dentures. Many people replace lost teeth to improve their appearance, but having a complete set of teeth is also important for your dental health. When there’s a gap in your mouth, the surrounding teeth gradually begin to move and change their position. The resulting misalignment can damage your teeth and jawbone. The term “dental implant” often refers to a complete artificial tooth, but the actual implant is a small titanium rod used to hold in dental work. The rod is inserted directly into the jawbone, acting much like the original tooth’s root, or is attached to a metal frame. After a dental implant is embedded in the jaw, the bone regrows around the metal post. The new bone secures the implant, creating a strong anchor to hold in the dental work. Healing takes a few months after the implant is in place. As soon as it’s fully healed, a small piece called the “abutment” is fastened to the top of the implant. The abutment holds your new crown, bridge, or denture in place. When the implant is attached to a metal frame, Dr. Akem first places the frame on the jawbone just below the gum line. After new bone growth secures the frame, the dental implants are fastened to the frame. Dental implants can be used after the jawbone has finished growing. However, your jawbone must be healthy enough to support the implant. If the bone is too thin or soft, you may need a bone graft before Dr. Akel inserts an implant. Before placing an implant, Dr. Akel reviews your medical history. He may not recommend dental implants if you have certain health conditions, such as an autoimmune disease or uncontrolled diabetes, or if you have received radiation therapy to the head or neck. How long will your dental implant last? Your implant can last a lifetime because it’s made of titanium. However, the health of the surrounding tissues may affect its longevity. If you develop gum disease or an infection in the bone, which can erode the bone, the implant could come loose.